Well, „Double 11” means November 11th, which is a day when Chinese people go on massive Internet shopping sprees because many online stores offer huge discounts on this day. In recent years, double eleven has become China’s e-commerce industry’s annual event, and gradually affect the international e-commerce industry. I love this promotions. 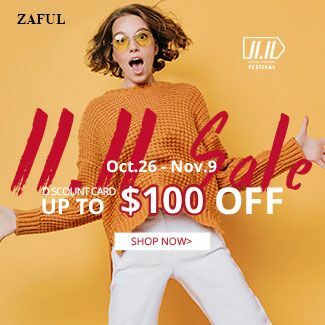 It’s goot thing that zaful offers free shipping for romania. I will be there waiting for the promised sales.